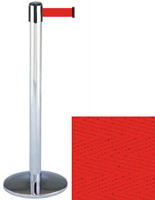 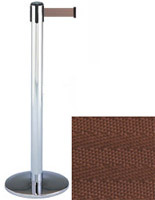 These chrome stanchions with retractable gray belt are great for forming services lines in restaurants and retail stores. 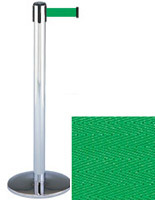 The crowd control posts feature a round weighted base that gives them extra stability in high traffic environments. 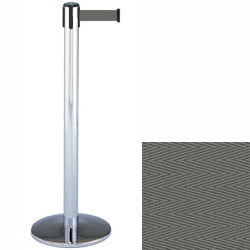 Each of the chrome stanchions with gray belt is made of strong metal with an attractive polished finish that matches any interior. 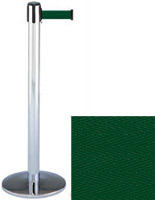 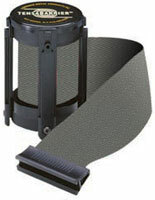 The poles come with a 13' long nylon strap, requiring businesses to use less fixtures to cover a large area. 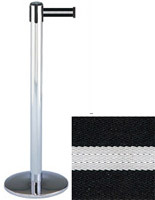 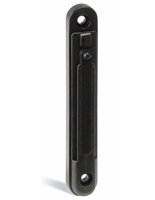 In addition, the chrome stanchions have a 4-way adapter on top to receive straps from up to 3 other posts.